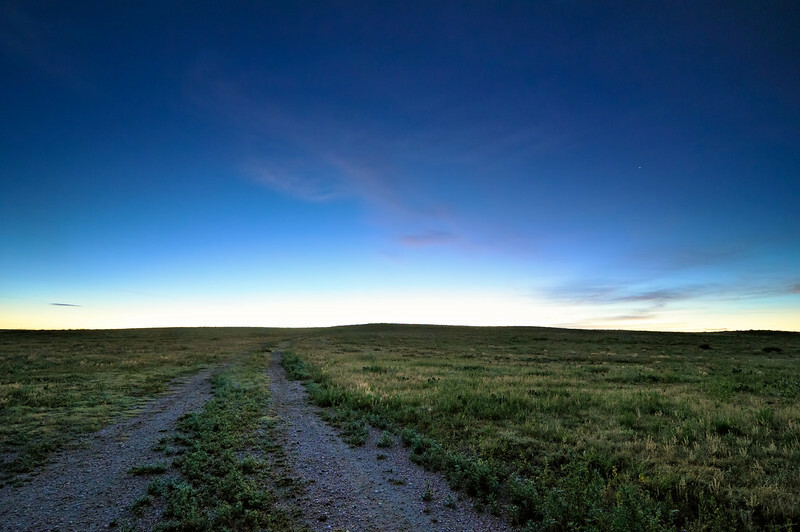 The very first vestiges of light visit Pawnee National Grassland in northeastern Colorado. Shot notes: It was just barely getting light to the naked eye when I took this, the increased sensitivity to light from the high ISO makes it appear brighter than we would normally see it. I also used a 3 stop reverse graduated ND filter to hold back the light on the sky and help the foreground show up a bit. No HDR. Local contrast adjustments and a bit of vibrance and clarity applied in ACR.